Ted Moroz and Don Chamberland really know their suds. Yes, beer can be a career. Meet two homegrown boys at the top of their game. Ted Moroz is president of The Beer Store. 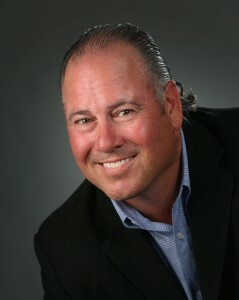 His high school friend, Don Chamberland, is vice-president of logistics. Moroz actually plays twin roles. In 2009, he became president of Brewers’ Distributors Limited, which services all provinces west of Ontario. Warehousing and distribution of product requires 7,000 employees, more than 300 trucks, feeding 12,000 licensees, the LCBO and 440 retail outlets in Ontario, plus half a million square feet of storage and transshipment. Though Beer HQ is down by Pearson International, it is clear Moroz and Chamberland consider Sudbury home. The Sudbury blood still runs in the veins of these good friends and workmates. Ted Moroz is president of The Beer Store. Moroz, who returned home to live in Hanmer for several years in the early 1990s, fondly recalls years of coaching Valley East Minor soccer and hockey; Chamberland’s remembrances of football under Sid Forester, and growing up with his brothers on Frood Rd. are strong. Sudbury’s strong social justice and union hall belief has an impact on anyone who lives here. “My No. 1 asset is people,” says Moroz. He too is very proud of the company’s environmental track record, including a 2011 designation from the GLOBE Foundation for Environmental Excellence. “I work for my employees,” says Chamberland. And there clearly is a respect back. 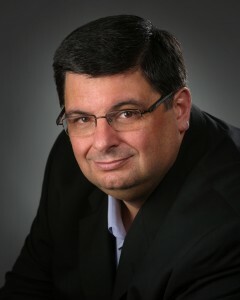 Don Chamberland is vice-president of logistics. These two were not parachuted into top jobs; they rose through the ranks. In 1986, while stubbies were still de rigueur, Moroz started on the trucks and moved to direct contact with consumers. It was no surprise that he convinced his friend to come on board as another part-timer. Chamberland was then in his third year at Laurentian and thought sociology might lead to a job as a police officer. However by 1988, he had gone from bottle sorting at the Lorne St. store to across town and region, and an offer of full-time work. The two friends have often worked together in different roles. “Kapuskasing, Toronto, district… management, problem-solving, service, and growing responsibilities and vision; a pathway upwards,” says Chamberland. This article is reprinted from the Summer issue of Sudbury Living magazine. If you are not getting yours, contact the subscription department at 705.673.5667, ext. 364. For more Sudbury Living articles, visit sudburylivingmagazine.com.